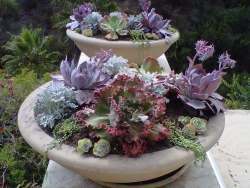 Succulent is the term used to describe the abilities of certain plants to store water. Not all succulents are created equal, but they all have this property to a greater or lesser degree. Some 'succulent' plants have modified leaves, such as Epiphyllum, the Orchid Cactus. They live high up in the top of jungle trees, and get moisture from rain showers, which runs down the branches of the trees to where they root in the crook of a trunk. The well known Aloe vera has sap that is used for skin care, especially as balm for burns. The sap is made up of primarily water. Others have evolved to be almost completely adapted for water storage - think cactus here. They are a stem, with no leaves that we can recognize, although the thorns are actually modified leaves. They can store water drawn up by the roots from the infrequent rainstorms in their native habitats, and live off that stored moisture for years, in some cases. 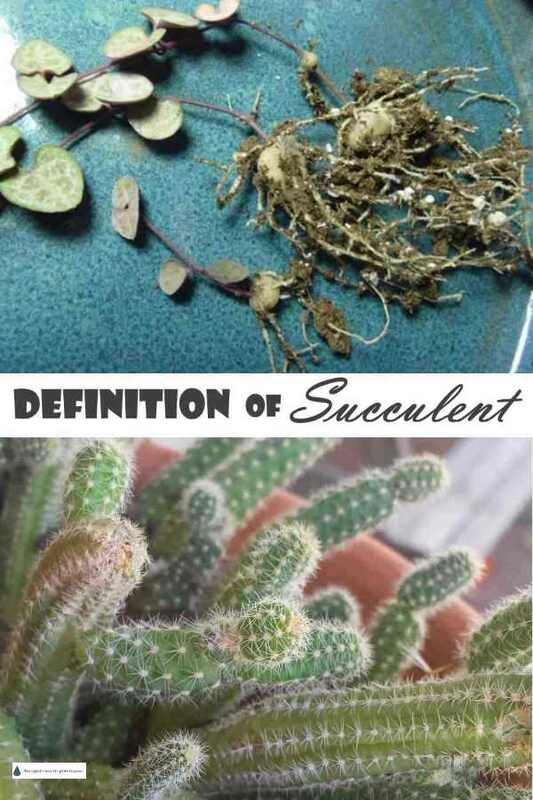 Some other plants could also be called 'succulent' even though they don't look like it. These are plants that are drought tolerant due to their roots, which store water in a tuber or bulb. These are commonly grown in our gardens. 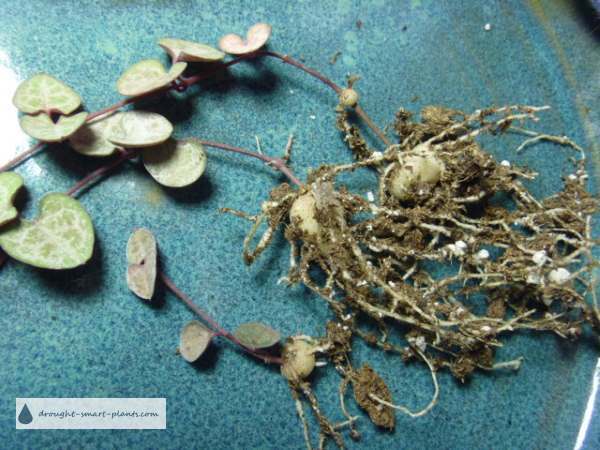 Ceropegia woodii, or Hearts Entangled, has curious little round tubers - so even though the plant itself doesn't look all that drought tolerant, the tubers certainly are good for water storage. If you're a gardener, you will recognize Hemerocallis, the day lily here, as well as many other plants - Aloe has the same kind of roots, so it's got double insurance for water storage (leaves and roots). Think of the word succulent as just a description of what these plants can do with very little water; plump up their cells to store it for later when they really need it. One disadvantage of this type of water storage ability is that they have no defense against too much water. This is one of the most common causes of death of succulents - water logged roots, over watered so that the leaves split or worse, rot, and in combination with the other cause of problems, not enough light, is deadly for these drought and heat loving plants.